Emoji singular emoji, plural emoji or emojis are ideograms and smileys used in electronic messages and web pages. Emoji exist in various genres, including facial expressions, common objects, places and types of weather, and animals. They are much like emoticons, but emoji are actual pictures instead of typographics Originally meaning pictograph, the word emoji comes from Japanese (絵, “picture”) + moji (文字, “character”). The resemblance to the English words emotion and emoticon is purely coincidental. 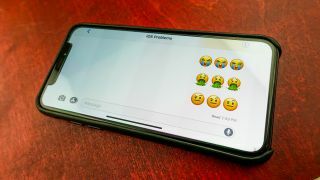 Originating on Japanese mobile phones in 1999, emoji have become increasingly popular worldwide in the 2010s after being added to several mobile operating systems. 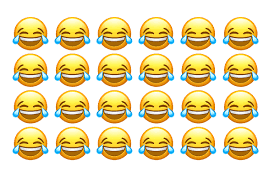 They are now considered to be a large part of popular culture in the west.I n 2015, Oxford Dictionaries named the Face with Tears of Joy emoji the Word of the Year.